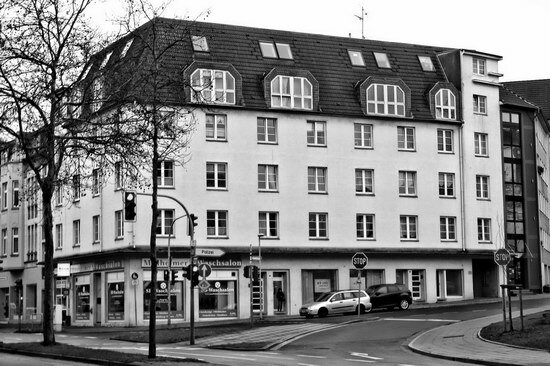 It’s just the house at the corner of Mülheim’s Kämpchenstrasse and Dickswall. For some reason it looks to me like it is built out of Lego bricks! It was recently renovated and does look quite good now.